Alika Masei ’17 has dedicated his college career to creating a better place for all students. After his first year at Willamette, Alika Masei ’17 heard one phrase that prompted him to shift his approach to the campus community. A former Willamette Housing and Community Life employee told Masei he’d never fully know the impact he has on someone’s life by simply “being in a space.” In other words, people often don’t see the fruits of their labor or get the recognition they should, but they and the effort they put forth still matter. The interaction inspired Masei, a sociology and women’s and gender studies double major and star swimmer, to sign up to be a residence hall advisor and become even more fully engaged with the Willamette community. During high school, Masei felt really disconnected from people and didn’t think he had a space where he could express himself. He didn’t see himself reflected in the communities there. But when I came to Willamette, it felt like people actually cared about who I was. It was a feeling I’d never had at other campuses. There were so many different community groups that I could become part of, and I wanted to participate. Participate he did. Masei, who is a quarter Samoan, has spent four years with the Hawaii Club. This year, he taught the Samoan slap dance for Willamette’s recent lu’au, the club’s highly anticipated annual event. Social justice, however, was Masei’s biggest passion at Willamette. He became involved in a long list of projects and groups at Willamette, including the Council on Diversity and Social Justice (CDSJ), the Mosaics Mentoring program for multicultural students and the President’s Task Force on Equity and Inclusion, which resulted in the recent decision to hire a vice president of equity, diversity and inclusion. 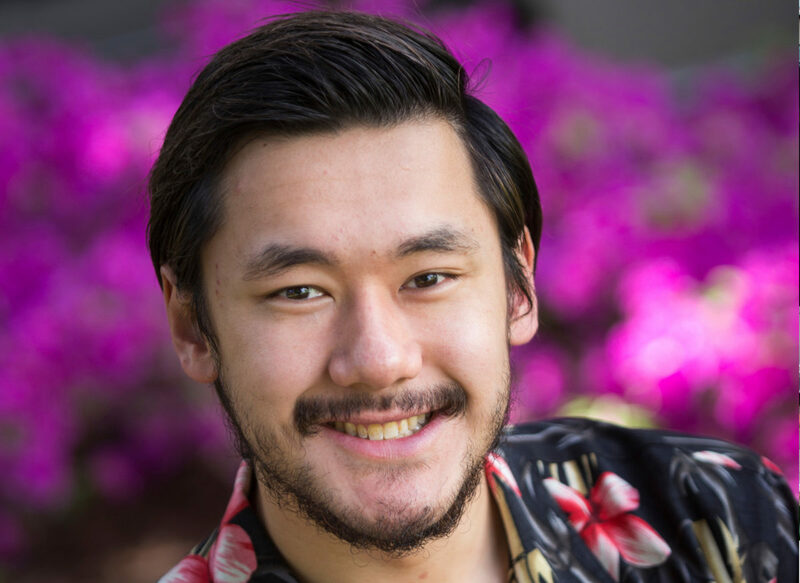 For one grant-funded project tied to his senior thesis, he created a documentary about Pacific Northwest college students he refers to as “LGBTQ +.” Masei prefers to use “plus” because it’s more inclusive of a spectrum of gender identities and sexual orientations. In his film, the students answer whether life gets better as they age, a nod to the “It Gets Better” movement pioneered by syndicated columnist and author Dan Savage. But unlike Savage’s project, which offered a cultural promise to youth facing harassment in high school, Masei wanted to address real students’ experiences during their transition to college and the advice they’d offer as a result. His thesis also presented the idea that students of color have different needs than other LGBTQ + students. After being awarded a mini-grant offered through the Office of the Chaplains, Masei led an effort to add the option of gender pronouns on campus IDs for faculty, students and staff. The project is still in the process of being finalized. For his work, the chaplains office honored Masei this year with the Social Justice Leadership Award, although Masei stresses that he was just one of several students within the communities in the Center for Equity and Empowerment and the Office of Multicultural Affairs who work hard to support their underrepresented peers. Masei has also racked up awards as an outstanding athlete. Last year, CollegeSwimming.com selected him as the Northwest Conference Men’s Swimmer of the Week. In 2014, he set the university record in the 200-yard backstroke. This year, he won the J.H. Booth Award, an annual award the Athletics Department gives to an outstanding male graduating student. Two of Masei’s mentors — Michael Niño, an assistant professor of sociology, and Allison Hobgood, co-chair of the women’s and gender studies program — note his abilities as a deep, critical thinker and a good listener who can empathize with other students. They say Masei sets an example they can learn from, and he pushes them to be better mentors and teachers. One of the biggest lessons Masei learned and practiced at Willamette is listening to student perspectives. It’s what drove him to help create safe mental and emotional spaces that support students’ identities. For the immediate future, Masei is considering a teaching opportunity in Hawaii. But his long-term dream is to pursue a position at a university as a director of multicultural affairs or equity and inclusion. I’m taking away from Willamette not only the relationships and connections I’ve built with other students, staff and faculty, but also the mindset to never make an assumption about other people. I’ve tried my best to meet people where they’re at and take time to listen. After she completes her master’s degree, her future is open. She’s considering work as a policy consultant or strategic planner in the nonprofit world. This is the last in a series of four profiles of May 2017 graduates.